There are many layers to credit repair. For this reason, it is no surprise there are tons of FAQs. The more you peel away and the deeper you dig, you tend to wind up with even more questions. Thus, think of credit repair as an onion. Like an onion, the whole thing just may make you cry. But fear not. We have gathered here a collection of some of the most frequently asked questions from the outer and inner layers of the credit repair onion. 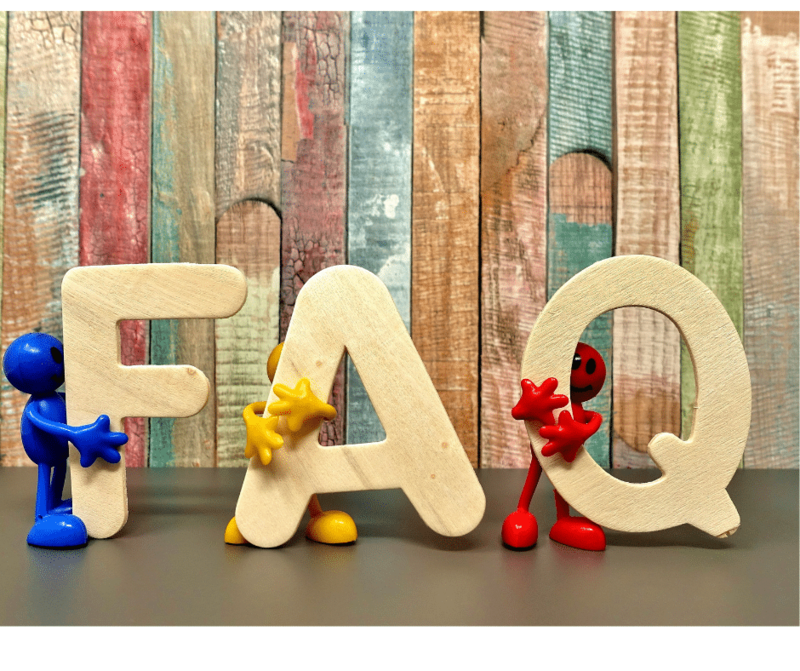 If you have a burning question about credit repair, chances are you’ll find the answer to it in our credit repair FAQ's. Let’s get started. How Long Does It Take For My Credit To Be Repaired? Unfortunately, repairing one’s credit is not an overnight process. It does take time for credit bureaus to receive and update their files when they receive new information. By law, credit bureaus have 45 days to update their reports with new information they’ve received. Therefore, the sooner they are made aware of changes to one’s credit, the sooner their reports will reflect that. Can Repairing My Credit Improve My Chances Of Getting A Job? It certainly can’t hurt. There are a variety of reasons why employers have been known to pull the credit reports of potential hires. In some cases, they’re simply trying to verify the identity of the person. In others, they may be looking for signs of stability. The likelihood of a credit check being performed is much higher when it comes to financial-based positions. According to a 2009 survey by the Society for Human Resource Management, 91% of employers performed credit checks for positions involving financial responsibility. 47% of companies performed credit checks when hiring for at least some of their positions, while 13% performed them for all positions. It should be noted that while employers can legally perform a credit check on you, they can not get your actual credit score number. As such, improving your credit report specifically for appearances’ sake as opposed to doing so to improve your credit score, will likely involve tackling it in different ways. Yes, you can. There is technically nothing a credit repair agency can do that you can’t do yourself. However, you need to be willing to put in the work and educate yourself about credit law. In fact, you can find DIY kits and other resources like books online that will give you the tools necessary to begin repairing your credit. Check out our article on Credit Repair Resources to find the best of these tools. Keep in mind, however, that it is a lot of work contacting agencies and creditors. The process of trying to work out settlements and verify information can be daunting. For this reason, many people choose to have credit repair agencies do this work on their behalf. Not only are they diligent in their work, they also know the ins-and-outs of credit repair better than anyone, and know how to negotiate with creditors. Should I Dispute All Of The Information In My Credit Report? While we could say that it can’t hurt, chances are that nothing will come from disputing correct information. Your focus should be on targeting the inaccurate, suspect, or outdated data on your report, rather than hoping to get lucky and have a legitimate one removed. In the case of the legitimate ones, you’ll need to try and work out a settlement with the company or collection agency directly. Note, however, that even when you have paid off an old debt, it will remain on your report for the legal period of seven years. The account will just reflect that is has been paid. Should I Just Create A New Credit Report Profile? No, this is illegal, and comes with severe penalties. If you come across any service that claims to be able to perform such a feat, avoid them like the plague. Any service that promises amazing results, like completely clearing your credit file, is simply not being truthful. When you come across any such company, or are treated unfairly by a credit repair agency, you are encouraged to contact the Federal Trade Commission and file a complaint. Credit repair agencies are in fact one of the most frequently complained about services to the FTC. There are many shady operations that lurk around the internet. This is why’s it’s so important to find legitimate services that are interested in doing real work on your behalf and helping you with your credit score. We take pride in providing honest reviews on the credit repair companies we list here on CreditMarvel. Real credit repair agencies know that there are no guarantees in repairing credit, and that it takes hard work and persistence to see results. This requires some patience on your own part, as well as providing the agencies with as much information as possible so they can better represent you. Are There Really Inaccurate Items In My Credit Report? Many people don’t pursue credit repair because they are under the false assumption that the information in their report is accurate. This is absolutely wrong. The FTC reported in a 2012 study that 26% of credit reports that were analyzed had errors in them. Furthermore, 5% of people who disputed those errors had credit score jumps of at least 25 points, which is quite significant. Don’t assume your credit report is accurate and leave your credit score up to chance. Can The Credit Of My Spouse Affect Our Ability To Get A Loan? Many couples believe that as long as one of their credit scores is fine, they shouldn't have a problem getting credit. This is not always the case. While couples do not have any sort of collective credit score, both scores matter. For example, with a mortgage loan, chances are both partner’s credit will be taken into account. With one good score and one poor score, you can expect higher interest rates or even to be denied. It’s therefore beneficial to make sure the credit scores of both are as good as they can be. How soon after a bankruptcy can you start working on getting it removed ?